Lunch and Learn – Wellness Seminar – a fundraising event for Partner Dogs Canada Inc. Please join us for an informative event for dog owners. The speakers will provide you with invaluable insights on caring for your dog and it’s health. We look forward to seeing you on May 5, 2019! Please RSVP by April 30, 2019. 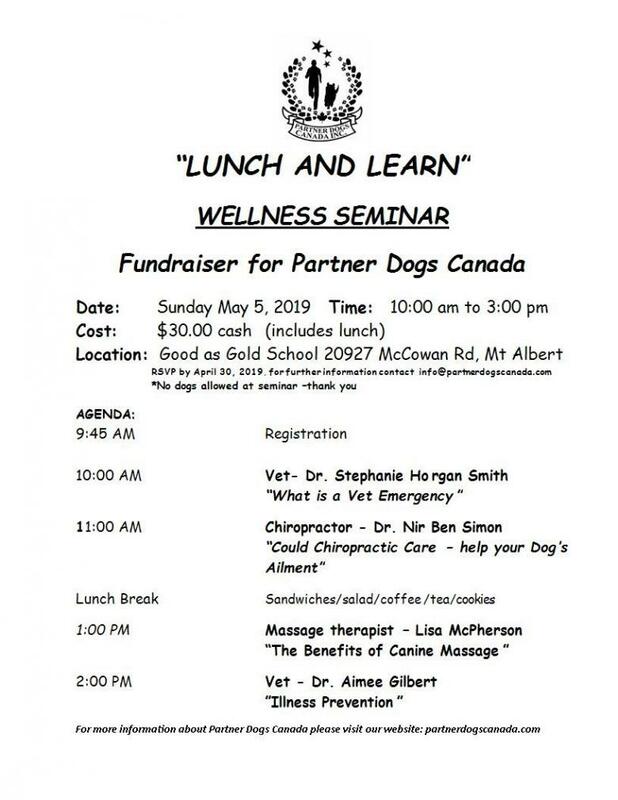 Tickets cost $30 and are available for purchase in advance c/o Good as Gold School, 20927 McCowan Road, Mount Albert or email info@partnerdogscanada.com.